Even without that knowledge it is generally a good idea to use SSL in order to provide some protection for the password transmission to one's users. Quite a few people use the same password for many accounts and it isn't always obvious how and where there has been a hack. Now the question arises for administrators whether this doesn't have a negative affect on new members. It can be quite daunting to register if one is confronted directly with the note that the data isn't safe on a page. Especially if that isn't the case in other forums. It is assumed that the other browser developers will follow suit with a similar note. This is speculative, however, as well as the assumption that unsafe sites in the Google ranking could in the future be disadvantaged. Nevertheless, this isn't excluded as it would be the next logical step to proceed in that way. Anyone who hasn't dealt so far with the topic, should contemplate it soon because there is no longer a real reason to run a forum unencrypted. Apart from security aspects, pages transmitted via HTTPS are considered to load quicker. * TLS (Transport Layer Security) is the successor to SSL, but the old term SSL is more commonly used. well! 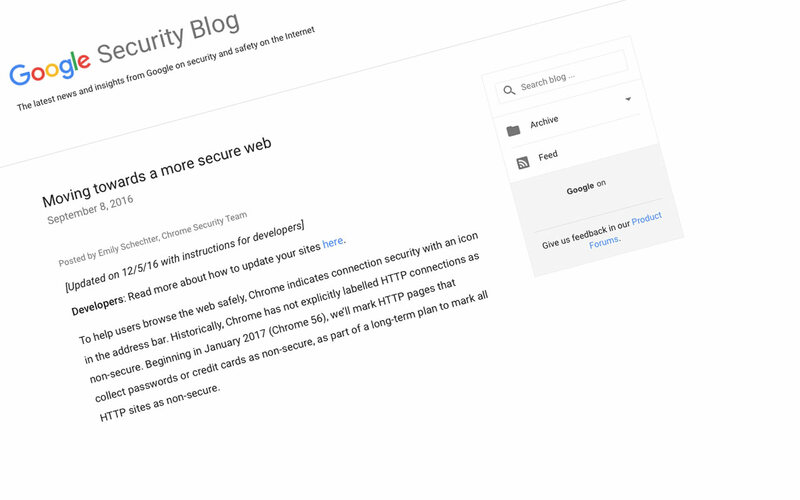 website use SSL is more security..and Google also suggest to use that.